The interventional radiologist makes a small nick in the skin in the groin and inserts a tiny catheter tube into the femoral artery. Using advanced three-dimensional X-ray, the physician guides the catheter through the artery to the uterus. Tiny plastic particles the size of grains of sand are then injected into the artery supplying blood to the fibroids. When the procedure is done, all the patient has is a little bandage on the skin where the interventional radiologist accessed the artery. Usually, patients stay in the hospital overnight. After discharge, many women resume light activities in a few days, and the majority return to normal activities within seven to 10 days. Uterine fibroid embolization is becoming the preferred treatments for fibroids. There is less pain, it is easily tolerated, and recovery time is faster. Many physicians see UFE as a first line of treatment today, and recent trials comparing embolization to both surgical procedures bears out the safety and effectiveness of the minimally invasive approach. 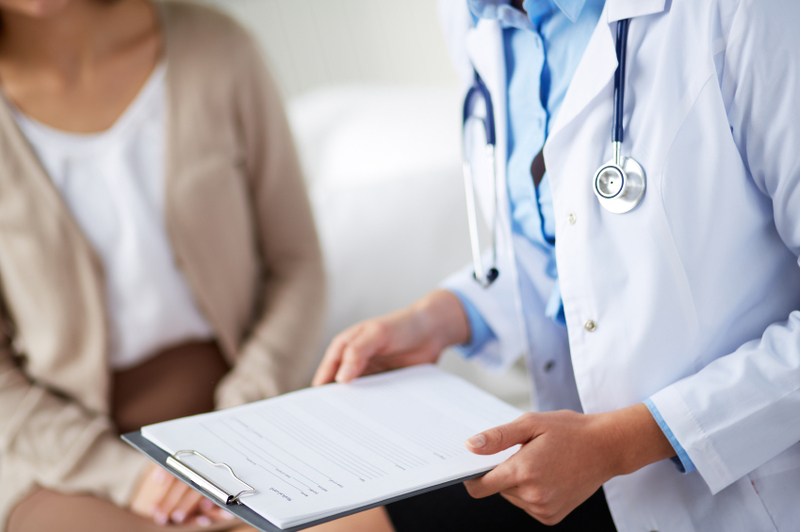 Women experiencing fibroid symptoms should talk to their physician to determine whether they are a candidate for uterine fibroid embolization. An ultrasound or MRI will help the interventional radiologist determine if the treatment option is appropriate for you.